The Laguna Honda Community Trail project is improving the historic multi­-use trails on the grounds of the Laguna Honda Hospital and Rehabilitation Center. Once completed the project will restore over 2 miles of multi use trail that will compliment Twin Peaks, Mount Sutro and other neighboring trail systems and open spaces. 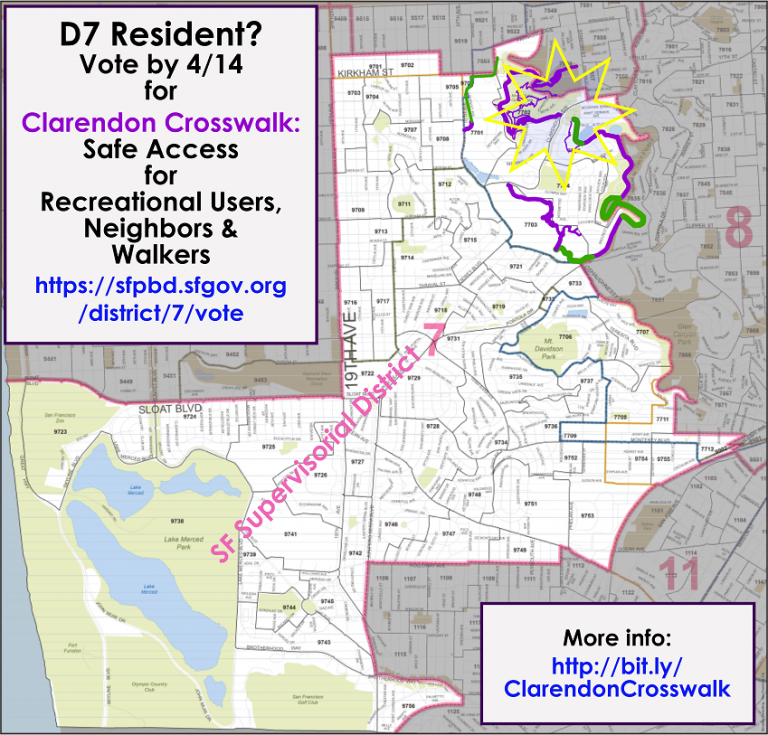 This project officially started in January 2017 and has been generously funded by Supervisor Yee’s District 7 Participatory Budget, the San Francisco Community Challenge Grant, the California Trails and Greenways Foundation, REI, and other local community supporters. What is needed to make this project a reality by Spring 2019 is a motivated, and hard working group of volunteers to join us for our monthly work events! SFUR meets the Second Saturday of each month at 9am at our main tool trailer (see map) and then head into the field to work for about 2.5-3 hours before heading back to the tool trailer for pizza, beverages, good conversation, and to celebrate our latest efforts and accomplishment. Volunteers are the engine that drives this trail project, and therefore SFUR treats all volunteers extremely well. Not only do we serve lunch and beverages at each event, but we also recognize those volunteers that come back more than once. The latest swag is a custom SFUR embroidered Trucker Hat in your choice of color. That’s right, volunteer twice and receive a limited edition upgrade to your trail fashion wardrobe. Show up THREE times or more, and qualify for a chance to get a Trail Boss tool worth over $250. 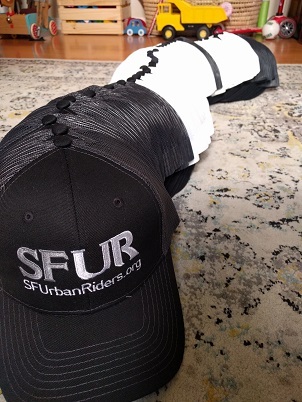 Why: To improve the local urban off road riding experience, and earn some limited edition SFUR swag! Key community partners include: Mike’s Bikes, Roaring Mouse, Big Swinging Cycles, REI, Fort Point Brewery, 21st Amendment, the SF Parks Alliance and more. The meeting location is near the eastern edge of the hospital grounds, marked on the map above. The easiest way to get there is to enter at the traffic light on Woodside Ave and walk (or ride) up the dirt road which follows the fence line. The other best approach is to enter up on Panorama Drive and walk (or ride) down the trail. There is ample parking for even the largest vehicles on Panorama Drive, above the SF Juvenile Center. Thank you for your support of SF Urban Riders and the Laguna Honda Community Trail System project!